80% One of the Top 100 Apps of 2011! Tired of your old Facebook app? Ready for a fresh, new experience for Facebook? 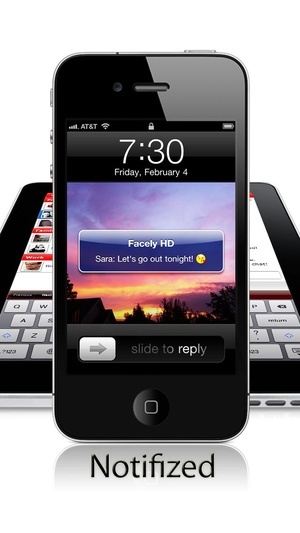 Then try Facely for Facebook today! ‾‾‾‾‾‾‾‾‾‾‾‾‾‾‾‾‾‾‾‾‾‾‾‾‾‾‾‾‾‾‾‾‾‾‾‾‾‾‾‾‾‾‾‾‾‾‾‾‾‾‾‾‾‾‾‾‾‾‾‾‾‾‾‾‾‾‾‾‾ Want to try before you buy? No problem! 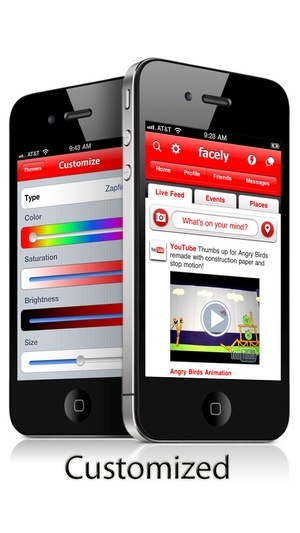 Just search for Facely in the App Store and download the Free version. You'll love it! 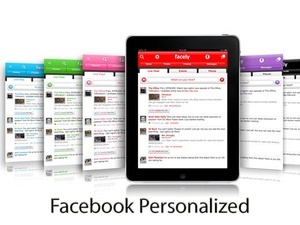 Only Facely gives you a consistent, customized experience for Facebook with as much personality as you have! 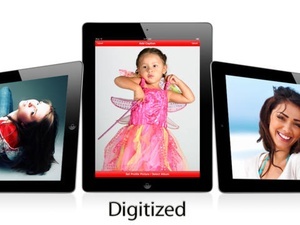 Optimized for the high definition touch screens of iPad and iPhone 4, and easily customized to match your mood, you'll soon wonder how you ever lived without it. 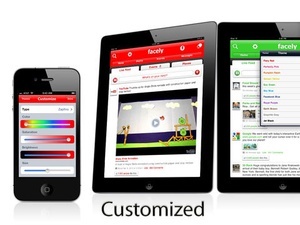 With Facely you can do everything you want on Facebook, including Browse your live feed Comment on posts Chat with friends Upload photos Upload videos Pulltorefresh See birthdays Call friends Share links Save photos View albums Watch videos Friend/Unfriend Poke/View pokes Receive notifications Send private messages Plus much, much more! 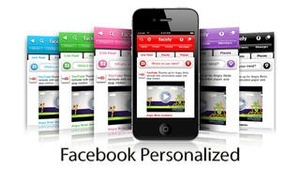 Facely is also the only app that helps you fully customize your interface for Facebook. 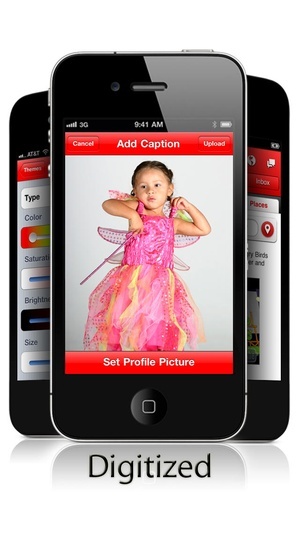 Choose from a variety of colors, fonts and themes or create your own! Effortlessly browse links using our builtin browser, with actions to help you email, copy or share links with friends with the touch of a button. We've even built in Facebook chat from the ground up. Get the full experience for Facebook in the palm of your hand today! Tips Tap the Facely icon to access extra features Tap the Chat icon to flip to the online chat view Tap the Lightning icon to see recent notifications Tap Messages to read/send private messages Highlights Stellar customization features Full, native chat + notifications Take pictures + upload photos / videos Convenient photos interface To get help or suggest improvements now, feel free to visit our Facebook page. Your feedback is appreciated! http//www.facebook.com/FBTouch Notice The Facebook name and logo are copyright Facebook, Inc. This application is not produced by or affiliated with Facebook. 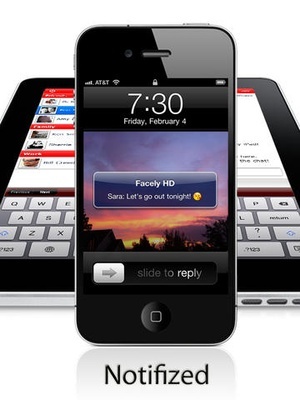 Check these links to find your download for Facely HD for Facebook + Chat & Photos for & iOS or for your device iPod TouchiPhoneiPad. 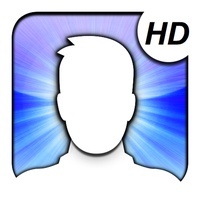 The app Facely HD for Facebook + Chat & Photos is compatible with te following devices.